The make-up room is directly off the main stage; easily used for make-up and wardrobe. It also has an adjacent bathroom with shower for the times when the celebrities require a fresh look before and/or after the shoot. 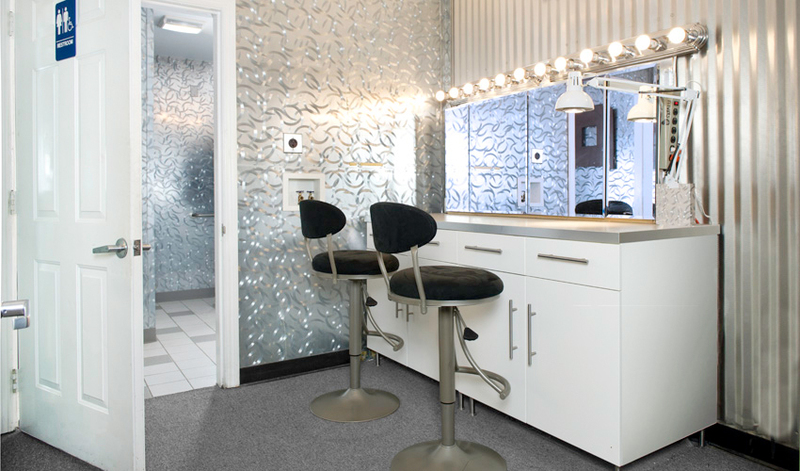 The make-up room has seen the likes of Michelle Pfeiffer, Sarah Stone, RuPaul, Robin Williams, and others.